This is an attempt to trace a succession of early landlords of the Woolpack Inn, Islip. I have not found the Woolpack mentioned by name until 1796, but by tracing back from the landlady at that date it has been possible to arrive at John Vorley who was born in Islip in 1715. In the registers there is a record of the marriage of one Francis Watkins, “servant to John Vorley, Alehouse keeper” in 1762, the first indication of John Vorley’s occupation. a pair of silver buckles, a large silver tankard and two silver salts. To grand daughter Mary Vorley £50, all at age 21.
included a close and orchard and nine acres of arable land. The Will was proved in 1766. Later John Vorley’s own Will revealed information about the Vorley family. Proved in 1777, it is inscribed on the outside of the folded document “Send probate of this to Mr. Strong at Mr. Squire’s”. (This would be John Squire who had recently had Islip House rebuilt. Mr. Strong is thought to have been his attorney.) John Vorley left his leasehold estates in Lowick and Islip to his son Sibley for the remaining term of the lease. This would have been the Inn and the land which was leased with it. He left a property with shop and outhouses in Thrapston to his daughter Fanny. These premises were being used by his son John. His daughter Mary had £40 over and above the legacy from her grandfather. Rice Vorley received £100 and the Islip farm which his father leased from John Squire. Mary Vorley, his wife, received £6 per annum, but we must remember she was heiress to properties in Raunds and Finedon from her father and could be receiving rent from them. The rest of John Vorley’s money or property was left in the hands of Trustees (Thomas Strong of Thrapston and Charles Knight, a yeoman farmer of Islip) to be used for the maintenance and education of Henry, the youngest son, who also had the interest on £200 for life. Thus on his father’s death Sibley Vorley became the Alehouse keeper, aged only 18. Along with his two brothers, William and Rice, he was named in 1777 as being liable to serve with the local Militia. Between 1780 and 1787 his first wife, Hannah, bore him five children of whom only two survived. Hannah died soon after the birth of the last baby. As often happened when a father was left with a young family and a business to run, Sibley remarried. His new wife was Fanny Coales, a very young widow from Aldwinkle. Sadly she died five years later aged only 26. Again Sibley remarried quickly and his third wife was Elizabeth Eaton, the daughter of James and Mary Eaton, who were grocers in Thrapston. This marriage again was short lived for Sibley himself died the following year (1796). Sibley left his widow, Elizabeth, £200, secured on a bond from her brothers John and Samuel Eaton, and a further £200. The rest of his property was to be handled by three trustees – Rice Vorley, his brother, William Griffin of Thrapston, a cordwainer, and John Knight of Islip, a farmer, to sell as necessary and invest the proceeds for the maintenance of his daughters, Elizabeth and Hannah. Sibley’s widow, Elizabeth Vorley, continued to run the Inn, and she is named in the Alehouse Keepers’ Recognizances for 1796 as Landlady of the Woolpack Inn, Islip. So at last we have a documentary proof of the Vorley being the keepers of the Woolpack. Elizabeth Vorley did not remain a widow for long. 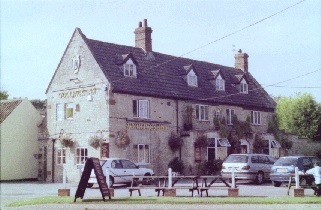 In less than a year she had remarried William Blunson who figured as landlord of the Woolpack for nearly forty years. He was described as a farmer from Rushton when he married Elizabeth. In our 1982 magazine Mary Humphries wrote about four orphans – the nieces and nephew of Elizabeth Blunson (formerly Vorley, nee Eaton) and how William Blunson made himself responsible for their welfare, education and training. It underlined what a busy, kindly, much respected man Blunson was. When he first came to Islip, William Blunson continued to attend the Baptist Church at Rothwell, but as Thrapston Baptist Church grew he transferred his membership with a letter of dismission from Rothwell in 1811, and Elizabeth became a member a few years later. As time went on he undertook more work on behalf of their church. He became a lay-preacher and was invited to take services in the surrounding villages as they set up small chapels of their own. The curious mixture of preacher and publican did not seem to matter. Each year every landlord was required to appear before the Justices and make an affirmation that his premises would be properly run and two other inn-keepers stood surety for him. These records are the Alehouse Keepers Recognizances referred to earlier and was the way premises were licenced. They are a good source of reference until 1828. From 1826 – 1828 the Woolpack was licensed in the name of Thomas Dartnell, and his name also appears in Pigot’s Directory for 1830. Possibly he was employed by the Blunsons to run the Inn as they became more involved with work for the Baptist Church. 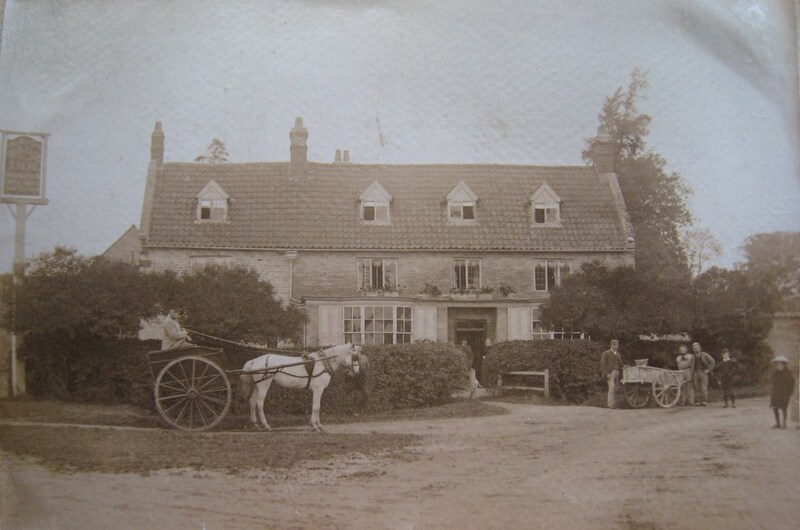 His wife, Elizabeth, died two years later (1840) and the Inn was at once taken over by William’s brother John Blunson who had been landlord of the “George” in Thrapston for a number of years. In 1798 John Blunson had married Mary Buck, the young widow of George Buck who had kept the “George” Inn thus becoming its landlord. Sadly, Mary had died in 1808, leaving him with three children, aged 8, 5 and 2. He had married again to Elizabeth Knight of Kimbolton, by whom he had three more children, Elizabeth, Ann and Robert. In 1840 the whole family moved from the George in Thrapston to the Woolpack in Islip. John Blunson remained as innkeeper until his death in 1846. His widow, Elizabeth Blunson, continued as landlady with her daughter Ann as barmaid. In 1861 Ann married a widower Lewis Wells, a farmer from Barton Seagrave. From the time of his marriage Lewis Wells became the licensee of the Woolpack. He soon brought his mother from Cranford to live with them in Islip. This article by Margaret Idle was first published in the Thrapston District Historical Society‘s magazine Strapetona volume 26, 1999, and is published here by permission of the society. This page was added on 23/12/2013.